Joshua Becker has a special place in my heart. He was the first minimalist guru and was my introduction to the world of simple living. My mother had started the minimalism journey and had been on it for many years. She saw how stressed I was in all these transitions in my life from college to grad school, grad school to home, home to married life and then moving seven times within the past 5 years. You would think I would have had a lot less things if I am moving so often but that was not the case for me. 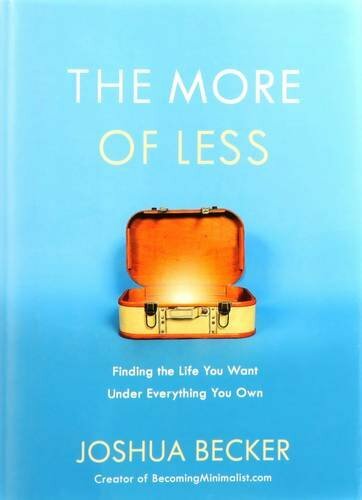 My mom said that I should read Joshua Becker's book The More of Less. Well my mom recommends many books and at the time I was starting a new job so I didn't have that much time to read. Instead I started looking up all these 'minimalist things' and people on Youtube. When I learned what it was really about I was hooked. I loved the message, the way of life, the minimizing of anxiety and stress, the promotion of the things that were most important in my life. I loved it! Then I purchased Becker's book and devoured it. Joshua Becker and I at his The More of Less book tour in Seattle. 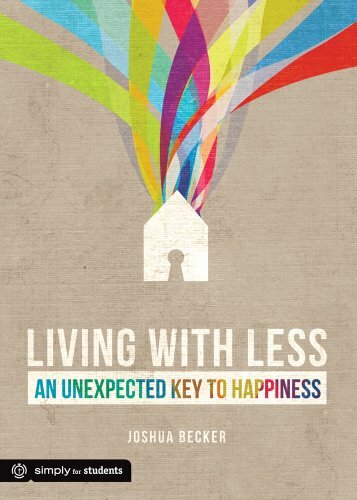 I love this book so much because it broke the process down of decluttering in such a way that it didn't seem so daunting to me. My first round of decluttering I used what I had learned from this book along with his class called Uncluttered. Since I purchased this book as a pre-order it came with admittance to this class but I will speak more about the class in a bit. Let's first focus on this amazing book. This book starts with one of the most powerful stories that wakes Joshua Becker from his normal consumeristic catatonic state to a frame of mind that is always striving to live life intentionally. His life before and now are very different. He says, "It was a life of drifting, not focused direction. This is what makes the unexamined life so dangerous. We think we are living life to the fullest but we aren't. Instead, we are often trading long-term purpose for short-term pleasure." (pg. 191) I am so thankful that he was woken up and because of him I was able to wake up as well. This struck me deeply. If I was continuing on the path I had been going down some day that would be me. Yes it is the American dream to have a house and many things but I would rather have many experiences, adventures, and friends rather than a big house with a lot of things that I have to clean. I didn't want to be me someday. I can recall when I was younger wanting to go outside so badly on a nice day to play but my parents, being the good parents they are, would say once your room is clean. How many times had my things kept me from the things I want to do, from new adventures, from new friends? I am sure that some of you said no to people coming over every once in a while because your house was in disarray. We missed out on memories and enjoying friendship. It still follows us around today! How many times have we said no to something that we have wanted to do because we knew we couldn't get everything done with work, chores, and other commitments made? Towards the end of the book he writes, 'it was a life of drifting, not focused direction.' (pg. 191). This really resonated with me. That is exactly what I had been doing. I wasn't actively participating in my own life. I was so focused on reacting and survival and I was terrified that on my death bed I would look back on my life and say yeah 'I lived but never really purposefully'. This book has helped me break this cycle. It gave me my time back and is still continuing to give me more time in this life to make it what I want. It pushed me to organize my life so I am not at the mercy of the everyday stuff I have to do. I didn't want to spend an hour every day just trying to decide what to eat for dinner or half my weekend (or a 7th of my life) cleaning! It's an exciting new life now that I actually have time to live it! 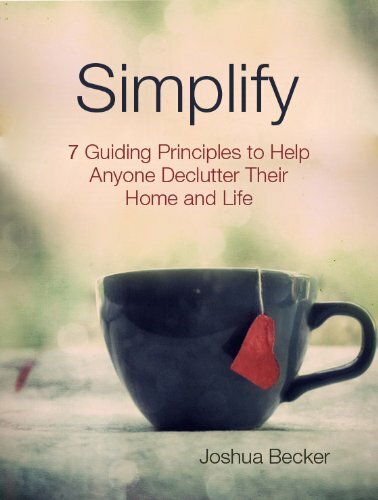 His book goes into how to declutter but rather generically because Joshua (as I also believes) often states it is all very personal and he cant give us the EXACT advice of things to get rid of but woking in generalities helps to give the aspiring minimalist room to grow in their decluttering journey. His class however you will see that it is much more specific. Later in the book he goes onto speak about what to do with that free time and how to keep all the progress you have made. Then he speaks about how with that time you should give back and that brings us to his personal project called The Hope Effect. What is The Hope Effect? It is a very noble nonprofit that is hopefully a solution to the worlds poorest and most vulnerable children who have no one in this world to care for them. The goal is to change how the orphanages take care of the children. Often there are just so many children that they just don't get the individualized attention that they need. The Hope Effect places children in a smaller environment that mimics the family life, made up of 8 children and two adults. Take a look to see what Joshua Becker has to say about it in the clip right here that I have included. One thing that he said in his book that I love is this, "I have shared the story of The Hope Effect with you, not because Kim and I are special, but because we're so ordinary! ...If we can do something like this, anybody can. You can!" (pg. 216) How empowering is this statement? This was how he contributed to the world. I truly believe if each individual that had the ability to help and followed what tugged on their heart strings and focused on that project the world would have much fewer needs that were not being met. See I believe that God put the desire to help the homeless in my heart, He put the desire to help children and in particular orphans in Joshua's heart, my little sister wants to take in every dog that ever was unloved or unwanted. We all have different passions and if we just followed them and acted upon these can you imagine what the world would look like? God has us covered if we just take the time to listen to Him and act. Joshua is changing hundreds and soon to be thousands of children lives. I hope to make a change for others as well. If half the world even helped 20 people or animals in their lifetime soon poverty, selfishness, and sadness would be a thing of the past. Becker says, "if we can do something like this, anybody can. You can!" (pg. 216). Please tell me what your heart would love to fix in the comment section and I hope you take some steps to help that situation even if it is just a few hours volunteering a month, everything helps. For more information about The Hope Effect please check it out here. If you are really slammed like I was before I knew that this journey was worth the extra time, effort, and growing pains then I recommend this book to you. It is an hour long read and very simple. Joshua wrote this book for teens and it is a great summary so you can decide to jump on this journey with us or not with very little effort. If you would like this for a teen it really breaks things down into a way where it explains all the positive things to come from this and how it could positively impact the rest of their lives. I really recommend it. You or your teen will not be disappointed. It also has a lovely spiritual aspect that is a little more subdued in The More of Less. I loved the uncluttered class and the Facebook community where everyone is supportive and nonjudgmental. The class comprised of emails, weekly videos, weekly tasks, weekly fb live conversations where he would answer questions, and a great Facebook community that is very supportive. It is a 12 week class that focus on changing your home, keeping the progress that you have made, and experimenting with less. 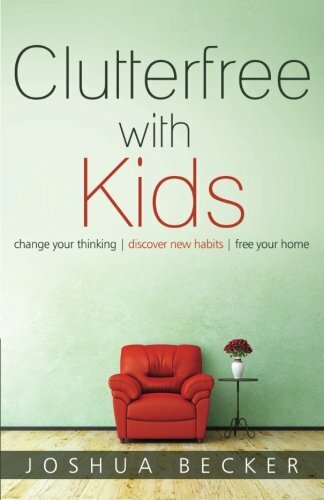 Some of the changing home topics includes things like kitchen and tailoring your wardrobe to you (Joshua personally does a basic uniform of which I am very jealous and would one day like to follow), and other areas of your life. Personally I thought it was very well done. It had a great flow, I grew a lot, and he kept me inspired which I believe is key on this journey and 12 weeks is a long time to stay focused but he helped me do it! There was one point that I really, really, REALLY stumbled tho. I am not going to lie and of course it was towards the start of the class week three. He gave us some homework and one of the tasks that he wanted us to complete was clean out our cars. It sounds very reasonable right? It made him happy but I just couldn't do it. First of all my car is always in use for projects for work and second of all I was just about to undo all that work to clean that car in the following weeks while I am (hopefully) driving all my things back and forth to goodwill. After much heartache (since I am the person that likes to do things from front to back, top to bottom, and start to finish) I decided to skip that step of the homework assignment and save it for the end as my victory (little did I know the journey never really ends after 12 weeks as it is a very long process) but I saved it until the end and did a deep deep clean on my car and it felt great. So if there is a section that you really want to save until the end do it! Don't let a little section keep you from continuing on in the class like it did me. I believe that Joshua Becker would have said that to me if I had reached out to him letting him know I was stumped. He and I both understand that you have to make the theory work for you. We each live different lives. What worked for him or me might not work for you so just tweak it but don't let it stop you or slow you down on this journey just keep moving forward. I like to think of the minimalism journey as a freeway. We all may be going different speeds, using different ways to get there and in different lanes, but as long as we keep moving forward we are doing great and someday we will all get to our destination which is for me, a simple happy life.